FLAGSTAFF — In late February, dozens of elk from Arizona will be establishing a permanent change of residency more than 2,000 miles away. The healthy, strapping animals were captured earlier this week through a partnership between the Arizona Game and Fish Department and the West Virginia Division of Natural Resources. 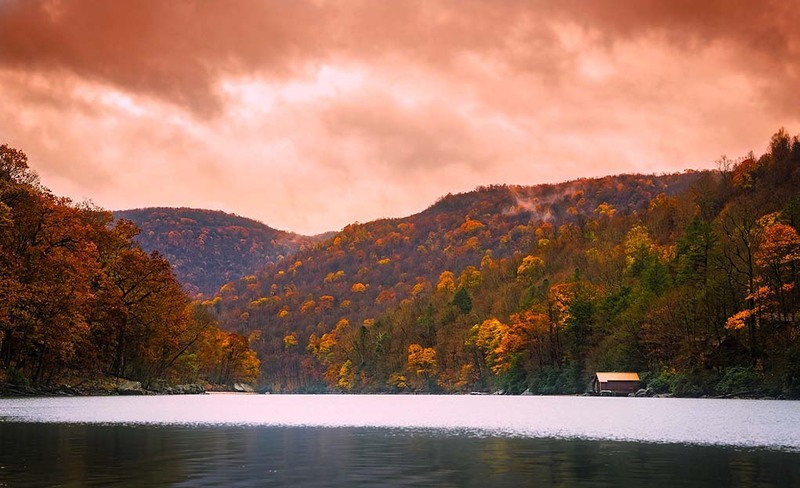 The Arizona Game and Fish Commission approved the capture and transport as part of West Virginia’s ongoing restoration project at its August meeting. The roughly 50 cows and 10 bulls, captured east of Flagstaff, will be quarantined for a minimum of 33 days before being loaded on livestock trailers and transported to the 24,245-acre Tomblin Wildlife Management Area in southwest West Virginia, where they will join nearly two dozen elk received in 2016 from Kentucky. The elk were captured from a robust population in the northern portion of Game Management Unit (GMU) 5B, which is designated as part of the Winter-Range Elk Management Zone. The department’s recent population surveys and modeling indicate an increasing trend in elk numbers within the capture area. The removal of the elk contributes to maintaining a stable population and will not change the number of hunt permit-tags available to hunters in this area. The project was an immense undertaking involving staff and volunteers from both state wildlife agencies, representatives from the Arizona Elk Society and the Rocky Mountain Elk Foundation (RMEF), and capture crew from Quicksilver Air Inc. The department also coordinated with three major private landowners and the Hopi Tribe in advance of the capture. West Virginia’s agency, in cooperation with RMEF, covered the costs associated with the capturing and processing of the elk. All costs incurred were paid for with wildlife restoration funds, which are generated by sportsmen who support conservation through their purchase of hunting, fishing and other outdoor equipment, or by donations to RMEF. From first light until late afternoon, the capture process was repeated several times over the course of two days. A fixed-wing aircraft and three teams of spotters with binoculars would locate groups of elk — preferably within a five-mile radius of the staging area at Raymond Wildlife Area – and provide coordinates to the helicopter capture crew. After a short pursuit, a hand-held net gun would be fired to entangle the desired elk, then two crew members (or “muggers”) would step off the helicopter, blindfold the elk and administer a mild sedative to keep it calm, immobilize it with hobbles to facilitate handling and transport, and remove the net. 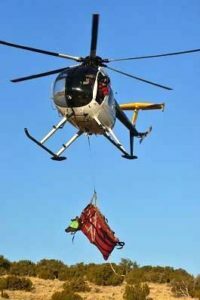 Once secured in a transport bag, the elk would be flown from a sling below the helicopter to the staging area, where several wildlife managers, biologists, veterinarians and others would evaluate the health of the animal, administer antibiotics and attach an identification tag and GPS tracking collar. The crew then would remove the blindfold and hobbles – and stand back and watch the elk bound into a holding pen with other quarantined animals. This week’s historic conservation project marks only the second time Arizona has provided elk to another state. In 2000, Kentucky’s elk restoration project received a boost with 26 animals that were captured near Raymond Wildlife Area. At the time, Kentucky hoped to build a statewide herd of between 7,200 and 8,200 elk. Today, officials estimate there are between 10,000 and 15,000 elk in the Blue Grass State. Arizona benefitted from the same kind of out-of-state generosity back in February 1913. In an effort to restablish an elk population, sportsmen released 83 elk from Yellowstone National Park into Cabin Draw near Chevelon Creek in GMU 4A, just east of where this week’s capture took place.